1. Connect to the WiFi that is giving you the problem. You must be able to connect to it. If you can not connect then this won’t work for your problem. 2. In your settings select WiFi and then tap the blue arrow next to the WiFi name you are connected to. 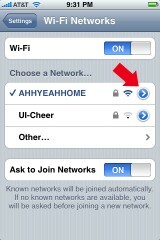 I also tried this on my home network that was already working and it didn’t seem to effect anything. It still works fine and wasn’t any slower or faster. So give this a try and let me know how this works for you. I have no problem connecting my home wifi, but I cannot browse using my office wifi. 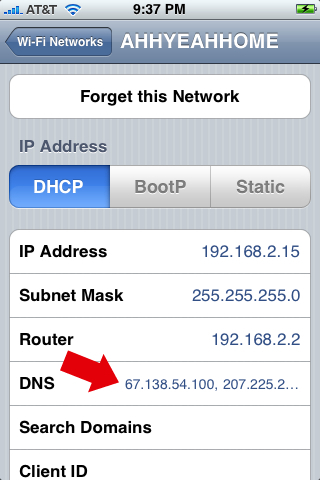 My iphone4 connects to my office wifi, it shows all the DNS, Router settings but safari will say could not connect to the server. I tried all the options explained in here, including open DNS numbers, but no luck yet. 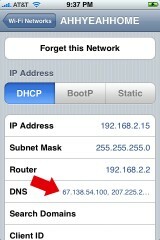 this dsn 208.67.222.222, 208.67.220.220 work for my iphone 4.